Selling alcohol can be a major attraction for customers and can be quite profitable for certain types of businesses like restaurants and bars. Unfortunately, liquor sales come with certain risks that can leave your business exposed to liability issues. 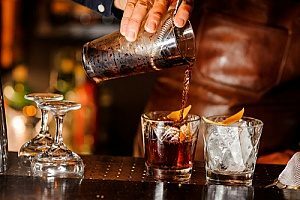 Knowing how to minimize these risks can help keep your bar safe from financial ruin in the event that an injury or accident occurs after a customer has consumed alcohol. Learn more about how to minimize liquor liabilities at your bar. How Can Bar Owners Minimize Risks? Bar owners face a number of unique risks that stem from alcohol-related incidents that cause bodily injury or property damage. While you cannot always prevent certain incidents from occurring, you can minimize your risk by following a few simple guidelines. First, always remember to plan ahead when hosting special events. 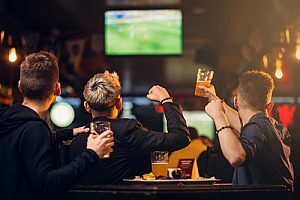 Whether it is a primetime fight or the Super Bowl, set safety precautions far in advance and let your employees know how to properly handle intoxicated customers in a way that does not escalate and result in damage. If a customer has had too much to drink, do not be afraid to refuse service. By providing more alcohol to an already drunk patron, you significantly increase your risk of a lawsuit should the if the person should become injured, tries to fight another person, or causes property damage. If a patron is drunk and cannot drive home on their own or find another ride, be the responsible party and call an Uber or Lyft. In addition, you want to ensure that all of your patrons are of the legal drinking age. This means checking all bar patrons’ IDs before serving them alcohol. In some instances, simply hiring extra staff can make a world of difference when running an establishment that sells or serves alcohol. Having security staff onsite can greatly lower your risk of liability issues by ensuring certain incidents do not escalate. For example, if a fight breaks out in your bar due to an intoxicated patron, your security staff can quickly break up the fight and remove the intoxicated individual from the bar. Alcohol is often associated with parties, celebrations, and fun times. While serving liquor to your patrons can be a positive experience for all involved, it is important to understand that a single lawsuit could shut down the business you have worked so hard to build. To protect your bar from potential legal action that can arise from serving beer, spirits, or wine, consider getting liquor liability insurance. While policies can differ from carrier to carrier, liquor liability insurance provides coverage for bodily injury or property damage caused by an intoxicated person who was served liquor by your bar. In short, liquor liability insurance protects your business from certain types of claims if you happen to be sued by an inebriated customer or a customer’s victim. Without ample coverage, you could be found responsible for any civil or criminal damages that incur, as well as any legal fees and court costs. Having insurance coverage not only protects your business, but also your employees and assets. Due to its high level of importance, many US states require businesses that sell alcoholic beverages to purchase a liquor liability insurance policy. Why is Liquor Liability Insurance Important? Having liquor liability insurance is one of the best ways to protect your business from a damaging alcohol-related incident. While the presence of liquor often leads to a good time had by all, some people may overindulge and become intoxicated. When that happens, a good time can quickly go sour. For more information about liquor liability insurance or how to apply for bar insurance, contact the bar insurance brokers at MFE Insurance.